Check out this free full-immersion dance classroom on beautiful Creations Park offering 2LDance.org's DANCE 301 Class: The Swing Era. 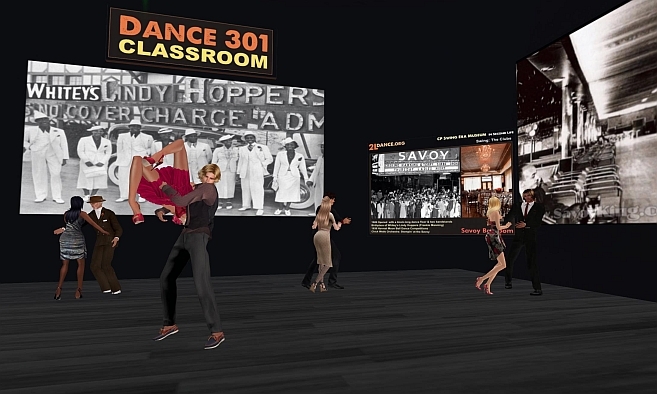 Learn the songs, dances, bands and history of Swing. Classes run 24 x 7 so join in anytime! Volunteer dance partners are usually available.